Pearls have been a valuable gemstone since ancient history. The introduction of cheaper cultured pearls has not tarnished its image. In fact they are more popular than ever and for good reason: an iridescent pearl simply looks amazing! Don’t hesitate to shop around for your own pearls because they won’t go out of fashion any time soon. The main distinction is between natural pearls and cultured pearls. High quality natural pearls are still extremely rare. They are often sold as loose pearls before being used as the centrepiece of unique pearl jewelry. Finding enough natural pearls that match each other to make pearl strands is nearly impossible. Cultured pearls on the other hand have become a massive industry. Several different types of pearls have been cultured since their inception. Usually a small bead or piece of shell is introduced in the mollusc forcing it to form a pearl. Akoya pearls are the original saltwater cultured pearl, mainly produced in China and Japan. They have a size of 2-10mm and are usually white or a lighter shade of grey. South Sea pearls are another saltwater pearl. The molluscs making these pearls is far larger than the Akoya variant, making the South Sea pearl far larger as well. These pearls come in sizes between 10-20mm and are white, cream or yellow (called golden south sea pearls). These molluscs are grown in the wild and are protected with very strict rules and quota. 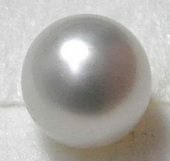 This makes this type of pearl far more rare and expensive. Tahitian black pearls are actually very rarely black, but have a wide color range. Often grey or dark grey and sometimes other colors such as green, blue or purple. These pearls are more rare than Akoya pearls but not as rare as South Sea pearls. They come in sizes between 8 -14mm. Freshwater pearls can be found all over the world, though China, Japan and the USA are the main producers. Freshwater mussels (a type of mollusc) have a very long cultivation time compared to the saltwater variant, but this is offset by the fact that they can produce more than one pearl at a time. In fact more than a dozen pearls can be cultivated at the same time, though these will be quite small. Freshwater pearls come in many shapes and colors, from white to orange and purple. Sizes range from 4-10mm. Throughout history the pearl was extremely valuable and often used as a financial instrument. Prices were this high because thousands of oysters regularly had to be searched before finding a single pearl that had any value. The discovery and rise of the cultured pearl was devastating to the natural pearl industry. 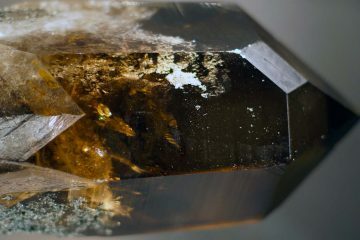 It damaged the reputation of it being a rare and very exclusive gemstone that would always keep its value. The industry has since recovered from this, though natural pearls are only a small, but expensive niche today. 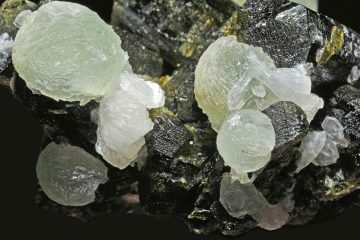 This organic gemstone is formed when, for example, a parasite or a piece of shell becomes trapped in a mollusc. When this happens the mollusc starts secreting calcium carbonate and conchiolin, a mixture called nacre, to cover the irritating object. Many layers will slowly be added forming a pearl.Due to the layers covering the irritant natural pearls are rarely round, but roughly follow the shape of the irritant. Almost any shelled mollusc can form a kind of pearl, though most of these are worth nothing at all. They are either too soft, have no durability or are simply ugly. Possessing none of the luster or iridescence pearls are known for. Wipe them regularly with a damp cloth to keep their natural beauty intact. Do not use an ultrasonic jewelry cleaner or steam jewelry cleaner. The heat or sonic waves can damage your pearls. Do not wear or keep them with other jewelry, they scratch easily. Restring your pearl necklace every few years to prevent the string from breaking. Put on your pearl necklace last, perfume and cosmetics can quickly wear a pearl down. Even worse, its color can change. Almost all pearls in stores today are cultured, be wary when a seller claims they are natural while being comparable in price to a cultured pearl. 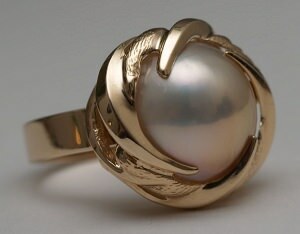 Luster, color, size, smoothness and symmetry are all important to decide the value of a pearl. 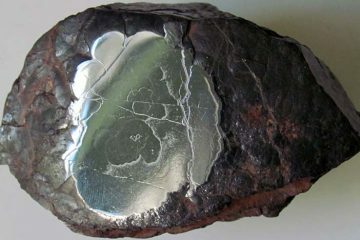 The most important of these attributes is the luster or iridescence of a pearl. After this comes the size of the pearl. A bigger pearl is more valuable, unless the bead used to create the pearl was larger than usual. When you buy pearls our advice would be to go for the highest quality pearls you can afford. The higher quality pearls simply are more beautiful and will also keep their natural beauty for far longer. This is because their nacre layer is thicker so wear and tear will take far longer to leave their mark. Smoothness and symmetry are less important. A smooth symmetrical pearl will still fetch a higher price than a rougher, irregular shaped one though. To make sure you are buying cultured or natural pearls and not a cheap plastic imitation you can do a simple test. Gently rub a pearl on your teeth. If it feels slightly rough it is real. A plastic imitation will feel smooth because it usually is just a piece of plastic or ceramic. Buy your pearls at a gemstone shop or jeweler with a good reputation. Buying online is no problem, just make sure they are a credible store. 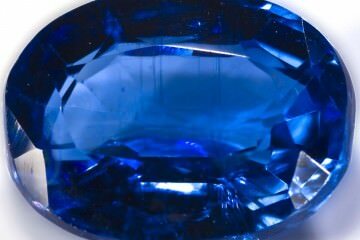 You can find more general advice in this guide to buying gemstones online.